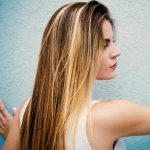 With the advent of Instagram and the ever increasing need to meet beauty standards perpetuated by it, hair coloring trends have seen a steady rise over the past few years. And a direct result of that has been words like highlights, ombre, sombre, and balayage becoming a part of our mainstream vocabulary. But while you may be throwing words like these around, have you ever stopped to wonder what the real differences between them are? Or say, what are the differences between Balayage Vs Highlights. I sure as hell did not. So, let’s tackle the most basic of hair coloring techniques today, shall we? When it comes to technique, highlights are done with the help of aluminum foils. The hair dye is applied to small sections of hair from the roots to tips and covered with aluminum foils that trap in heat and lighten your hair more intensely. 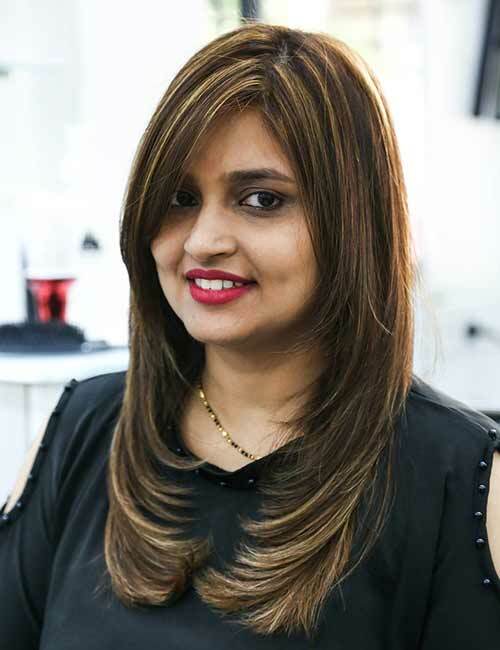 The size, placement, and tone of the highlights can be planned out precisely when it comes to deciding the hair look you are going for. 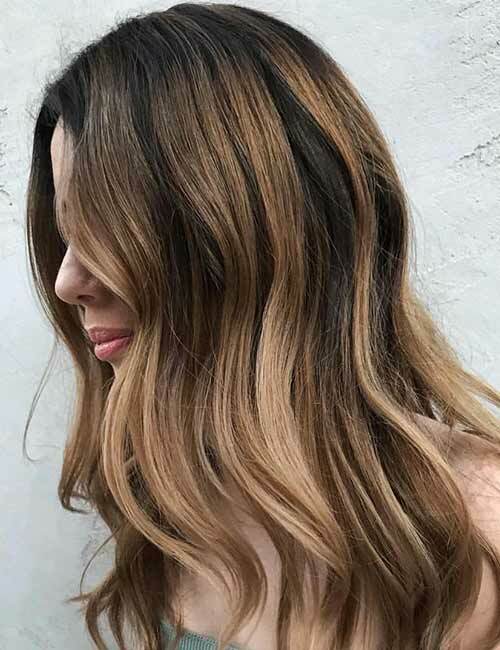 Balayage is a French word that means ‘to sweep.’ In this technique, the dye is swept or painted onto sections of your hair in a freehand manner. Usually, the dye is applied from the mid shafts to the ends of the hair. Another characteristic feature of a balayage highlights is the way it’s done in revolutions around the head. First, the dye is applied to the bottom most section (near the nape of your neck) of your head. Then, the midsection of your head is worked upon and then the top section of hair is colored right at the end. A cellophane is placed between each layer of hair. Balayage ends up looking like thick highlights that are just a few shades lighter than your base color. 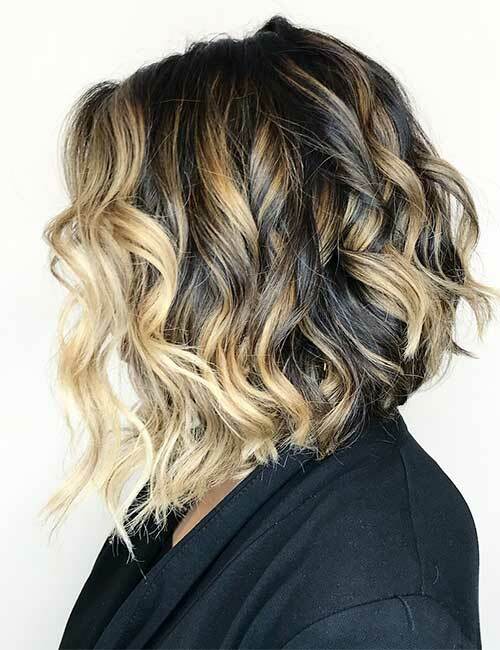 Since the highlights are not very saturated and the bottom sections of hair are left dark, balayage highlights add tons of depth and dimension to your hair. 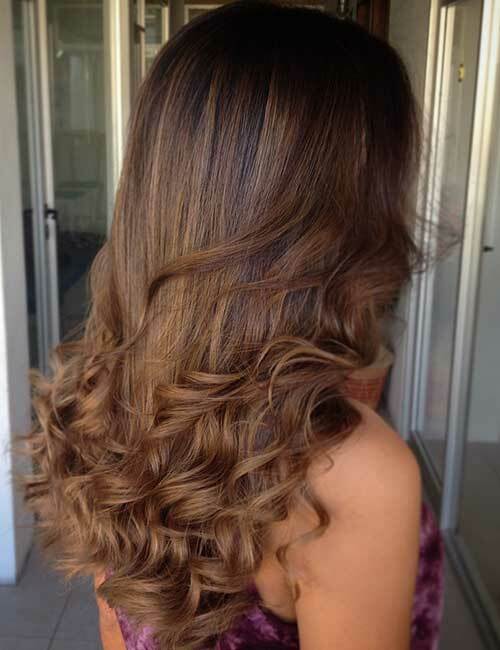 The almost ombre effect and lighter tips also lend your hair that perfect naturally sunkissed look. Highlights follow a more structured pattern and more carefully placed than balayage. Balayage, on the other hand, is freehand painted onto the hair in large sections. Thus, balayage blends more seamlessly into your hair than highlights. 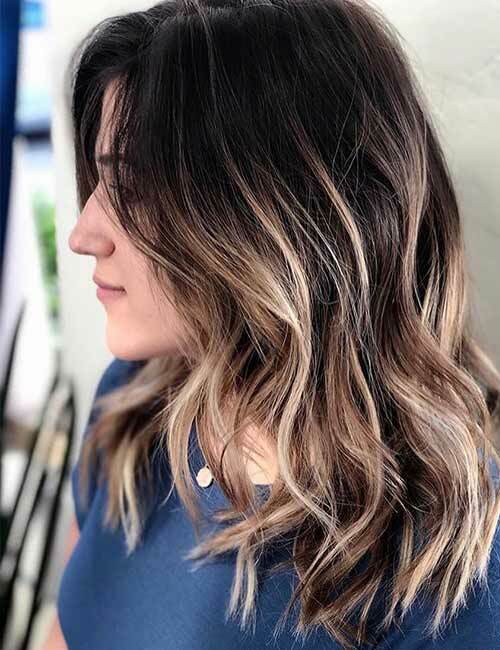 While highlights are done by saturating the section of hair right from the roots to the ends, balayage is done by painting the dye from midshafts to the ends. 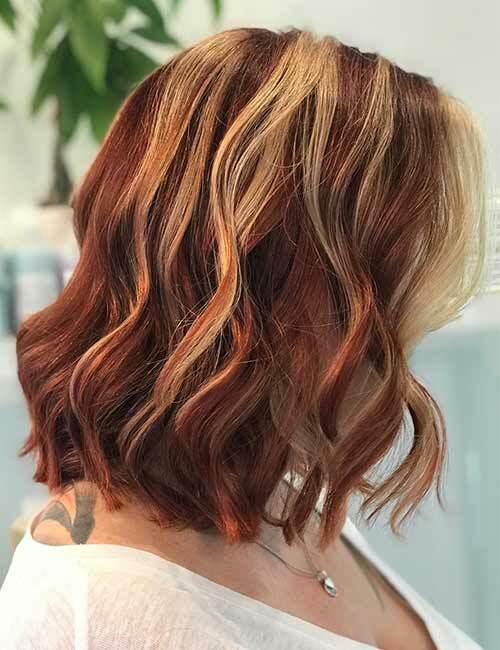 If you want more intensely lightened highlights, then you should go for foil highlights as they make use of aluminum foils to saturate the color. Balayage, however, is just a few shades lighter than your base color and has a softer, more blended look to it. Since highlights are done right from the roots, you will need to keep touching them up every few weeks when they grow out. Since balayage is not done right from the roots, it grows out more naturally and requires lesser maintenance. Balayage adds depth and dimension to your mane while highlights focus on framing your face and accentuating the base color of your tresses. If you want to change your hair look but don’t want to go too jazzy with it, then some blonde highlights will do the trick for you. These rich highlights bring out the beauty of her naturally chocolate brown hair and lend it an air of sophistication. Want to look like a flaming hot goddess of fire? Then, boy, do I have a hair look for you. 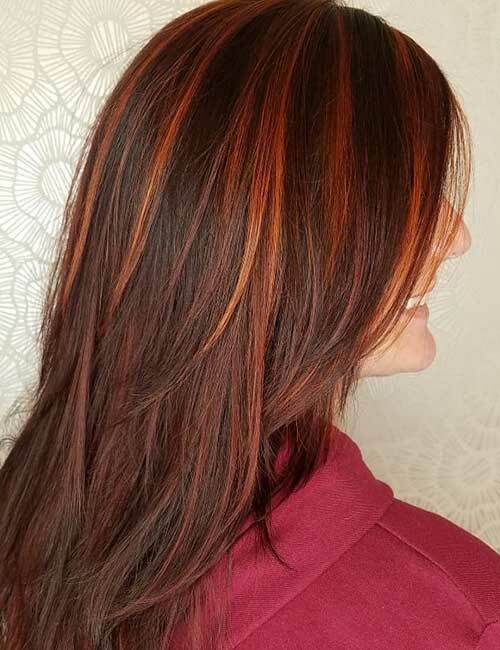 If you’re a natural redhead or have your hair colored in a rich auburn shade, then you need to go for some bright red highlights like these to give its gorgeousness a boost. Now here’s what I like to call an unconventional hair color combo. Who would have thought that blonde and red would go well together? Well, this blonde highlights on ginger hair proves that they do and incredibly so. And this color job looks even more chic styled in a wavy long bob. If you’re on the journey from dark brunette to totally blonde, here’s a pitstop you need to make. Consider going for this transitional color look that makes use of bright blonde highlights on dark brown hair. The contrast it creates is stunning and bound to make you look oh-so-hot. Hoo boy! Now here’s hair that can turn you into a certified cool girl! All you need to do is get your hair cut into a kickass pixie and dramatic side bangs. Then, go for some subtle jewel toned highlights (an emerald green, perhaps?) on the under section of your bangs. Now, just step out and watch how all the heads turn towards you! When it comes to balayage looks, blonde seems to rule the roost. This muted brown balayage is the perfect example of the same. The rich dark brown base of this mane creates a striking contrast with the blonde balayage and only adds to the beauty of this look. 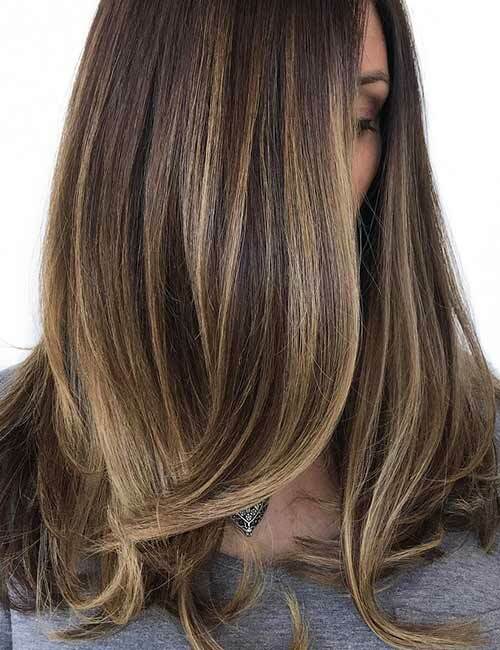 Rich brunette shades are all the rage this season and it comes as no surprise that they look especially great when done up in a balayage style. This rich chocolate brown balayage done on dark mahogany hair, for instance, looks like nothing less than a work of art. If there’s one hair color trend that’s all the rage on Instagram right now, it has to be jewel tones. 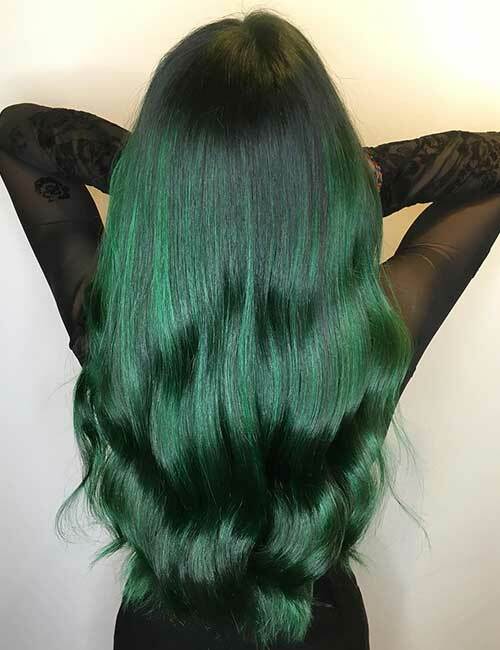 I mean just look at this luxurious emerald green balayage that pops even brighter when done on a jet black base. Style this look in loose waves and no one will be able to keep their eyes off you. 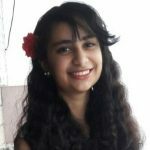 If you have always dreamed of looking like a magical creature straight out of a fairy-tale, here’s a style that you definitely need to try out. 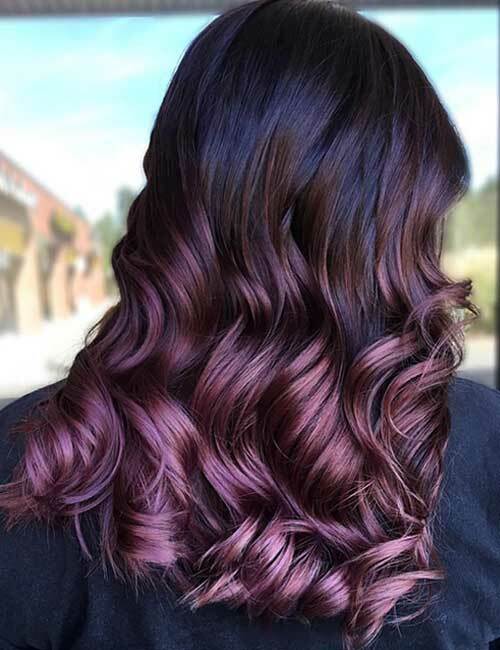 This opulent balayage done in amethyst tones looks gorgeous, to say the least. But its beauty has been taken up a notch by styling it in voluminous curls. Cool toned hair looks have a beauty of their own that is wholly unmatched. 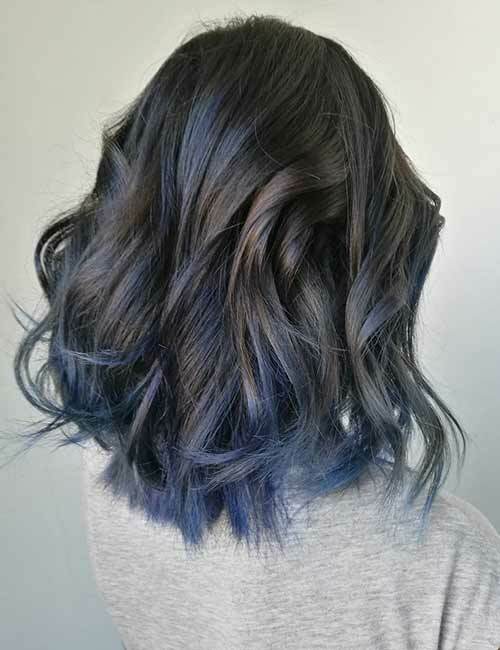 And this smokey blue balayage proves exactly that. 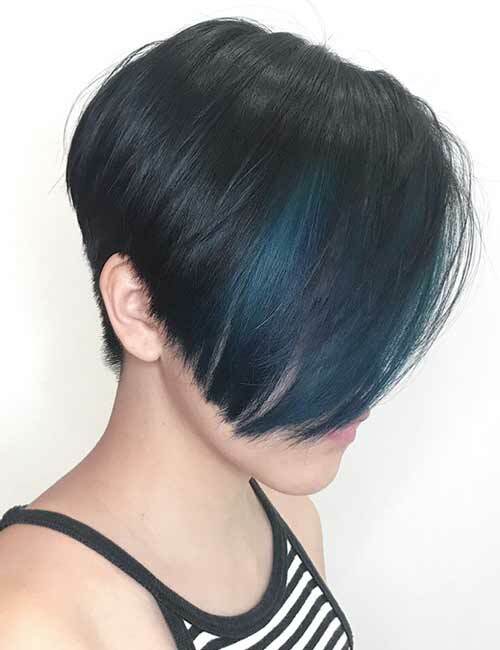 The indigo blue shades of this balayage have been accentuated to the core with the help of gray undertones painted into the hair. Try this look if you’re on the lookout for a cool but understated makeover. Now that you have been blessed with this glorious knowledge, I’m sure you will never get confused between highlights and balayage again! But do comment below if you have any more questions! How To Choose The Right Toner For Highlighted Hair?